STEPHEN BRAUN currently serves as the Chief Operating Officer at Fifteen Group. In this capacity he oversees financial reporting, compliance and corporate operations and plays a key role in the acquisition and asset management of Fifteen Group's real estate portfolio. 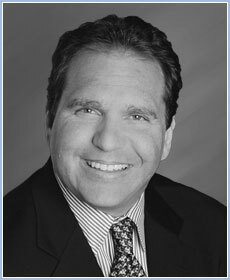 Stephen brings more than 25 years of experience in real estate and finance. Prior to joining Fifteen Group, he served as Senior Vice President of J.I. Kislak, Inc., where he oversaw real estate and strategic investments for the 112-year-old company including the acquisition of over $650 million of multifamily and other real estate assets throughout the United States, as well as the disposition of more than $400 million in assets, and the origination and refinancing of more than $500 million in property-level debt. Prior to joining Kislak, he worked at Kirkland Investors, KPMG and JMB Realty Corporation. Stephen holds a Bachelor of Science in Business Administration from The American University and a Master of Business Administration from the University of Miami. Stephen also previously served on the Board of FSU Center for Real Estate Education and Research.